Love this site! Full of wonderful and inspirational information -look like trips of a lifetime! Turkey was a destination I had dreamed of visiting, and going there with a group of photographers was a dream come true. in 2014 I travelled with a National Geographic Expedition to Turkey which allowed us access to many locations and sight we would perhaps not had the opportunity to see with another group or travelling individually. The cost of the tour was a little expensive but the accommodation and tour generally was 5star. Our tour was for only 10 days so we stayed in 3 main destinations for 2-3 nights, and we took an internal flight to keep our exploration time on the ground to a maximum. We were lead by 3 tour leaders being a cultural guide, photographic guide and general organiser. Our cultural guide was an expert on the history of the country and he passionately shared this with us on our journey. We visited many other highlights and our photographic guide was available for questions and help throughout the whole tour. Our tour was designed to take advantage of photographic opportunities wherever possible. The opportunity to do your own thing was also possible with the extended stays in each location. We started off in Istanbul where we stayed for 3 nights, then flew to Capadoccia where we stayed a further 2 nights. My friend and I took advantage of a balloon ride over the amazing landscape there and I am so glad we did. We also experienced a whirling dervishes and were allowed to take photos of their spiritual dance which was a thrill and privilege. We then headed towards the coast where we visited the ruins at Ephesus and by bus to Bodrum which was our final destination. We visited the Museum of Underwater Archeology, and had a behind the scenes tour of the complex and watched the process of reconstruction and recovery of ancient shipwrecks in the area. There were many other sights and locations we visited throughout the trip, and each day we experienced local food and hospitality which really enhanced the experience. My friend and I decided to book a further couple of nights in Bodrum to extend the length of the holiday as we didn't want to leave the magical coast of Turkey. The locals were very friendly throughout our tour and we were made welcome by everyone we met. National Geographic Expeditions were a high standard of tour and I would be happy to recommend them as a tour provider for a photographic experience. 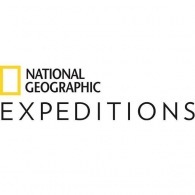 National Geographic Expeditions span the globe and are designed to reflect our travelers' broad spectrum of interests, from small-ship expeditions and classic train journeys to photography workshops and family adventures. When you travel with us, you'll enjoy boundless opportunities to be surrounded by natural wonders and exotic wildlife, to explore celebrated archaeological sites, to learn about different cultures and share in local traditions. A National Geographic expert or expert team accompanies each expedition, sharing their knowledge and passion for a region and making each experience enriching and unforgettable. National Geographic Adventures are unique, active itineraries for intrepid travelers that feature spectacular places, cultural interaction, and physical challenge: the perfect mix for an unforgettable adventure. Trek through some of the world's most legendary mountain ranges and veer far off the beaten path, discovering wild landscapes by foot, kayak, horseback, or camel. Each adventure has a designated activity level—from Easy to Ultimate Challenge, and you'll have the option to take it easy or push your limits on a harder hike throughout most trips. Your group will never be larger than 16 travelers, and you'll explore in the company of top guides, enjoying adventures that are both physically active and culturally rewarding. National Geographic Student Expeditions offer active summer travel experiences for high school students in some of the world's most amazing places. With the guidance of dynamic trip leaders and top National Geographic experts, students explore their interests, build new skills, and experience new landscapes and cultures firsthand. Each type of program—expedition, field workshop, community service trip, and photo workshop—is designed to educate and inspire, combining adventure, discovery, and cultural immersion. Photo workshops are led by a National Geographic photographer and include instruction and daily photo shoots. Students in our community service programs live in a village and work with community members on a variety of service projects. On each expedition and field workshop, students get involved in a unique, hands-on project that allows them to delve deeper into a specific topic—such as photography, wildlife and conservation, filmmaking, or archaeology—and further engage with the places they visit. Travel that’s tailored to your interests: Whether you're a budding photographer, a natural history enthusiast, a parent looking for a great family trip, or a traveler seeking an active adventure, you'll find an array of opportunities that fit your passions and interests. The beauty of happenstance: Some of the best moments in travel occur when you least expect them. So that you can savor these instances and enjoy each place in a way that’s meaningful to you, we offer options and build free time into our itineraries wherever we can. Travel in good company: Lasting friendships often begin on National Geographic Expeditions. Your traveling companions are Society members like you: active, engaged, and curious about the world. Explore the world in comfort and style: Whether you're relaxing in the arcaded courtyard of a 15th-century monastery in Peru or speeding through Siberia on a private luxury train, our accommodations are carefully selected for their exceptional quality, location, and character. We'll take care of the details: Leave the legwork to us. We take care of the logistics and details so you can relax, enjoy, and immerse yourself in the places you are exploring. Exceptional resources at your fingertips: To help prepare for your trip, we’ll send you detailed information specific to your trip, including National Geographic books, articles, or maps relating to your destination. You’ll also receive a 20-percent discount on your next purchase* from our gift catalog or online store—shopng.com—as well as a free one-year subscription to a National Geographic magazine of your choice. Search for the very symbol of the Arctic—the polar bear—and observe these majestic creatures in their natural habitat. Take naturalist-led shore walks, and cruise among beautiful passing icebergs in a Zodiac or a kayak. Watch for huge walruses, bearded and ringed seals, arctic foxes, and reindeer. Go on a photo shoot at a coffee plantation, and fill your lens with scenes of lush fields, bright coffee beans, and local culture.